We're in the field every day, assessing quality and maturity and selecting the right product for each customer. Whether export, domestic cartons or product for further processing, our customers get the freshest produce possible. Export Broccoli is always in season. We offer a variety of cuts, packed in our label or yours, cut and cooled to your specs. We'll work with your field representative to ensure the product makes arrival, even after a long boat ride. The Central Coast enjoys a long warm season, from March/April through Nov/Dec, perfect for growing iceberg. When winter hits you can find us in the desert, where warmer temps ensure that we have lettuce for the rest of the year. We've been a certified member of the CA LGMA since its inception in 2007. Many of our Growers are also our Owners. That means direct communication from growing, through harvest, sales, shipping and on to our customers. Coding on cartons, bins and pallets offers one up and one back traceability for all our items. Not too cool and not too hot. 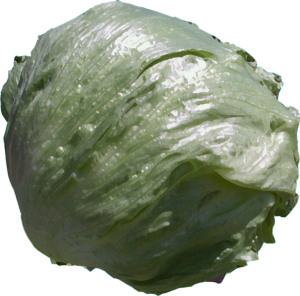 The Central Coast (spring-summer-fall) and Imperial Valley (winter) have perfect lettuce growing weather. With years of hands on experience. To generations. Starts Before Planting.. Food Safety starts with ground preparation, training and and science-based methodologies. We select seed with the most favorable characteristic for each growing area and season. He knows his lettuce and has the experience to select lettuce at optimum maturity and size for each pack..
We aim to harvest and ship our lettuce the same day so customers get the freshest salads.. Proudly serving the Produce Industry since 2000.